I found an issue with the macro, where an old code switch disabled a feature that is rarely used. I think I have fixed it. Please open the project and let the macro recalculate the results and let me know. If there is still an issue, we will track it down. ..by the way, if you receive something like the message you reported, press ACCEPT and you/we can fix the macro so you will not lose data. Hello David M Kramer, Thanks for your response. 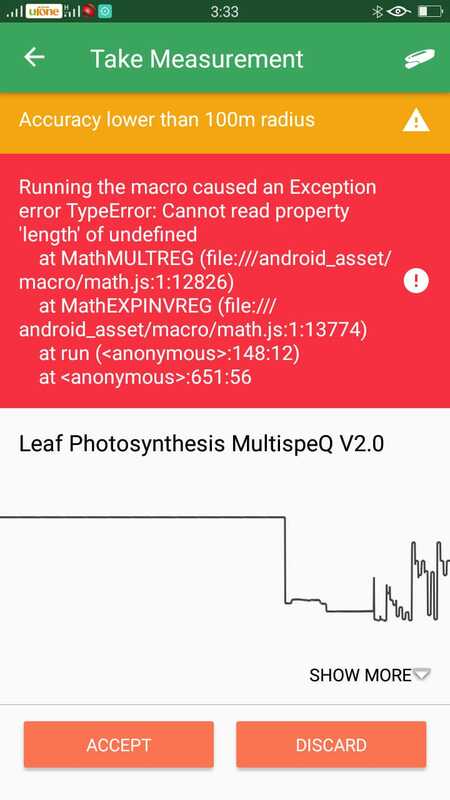 Now another macro error has been raised. Please look at it. we are also getting the same error message. Habib-ur-Rehman Athar: Hello David M Kramer, Thanks for your response. Now another macro error has been raised. Please look at it. Hello David Kramer, We are facing some errors during taking measurements. But we dont know what is this problem. Or how to define it. This is what we need: What project? What is your firmware version? 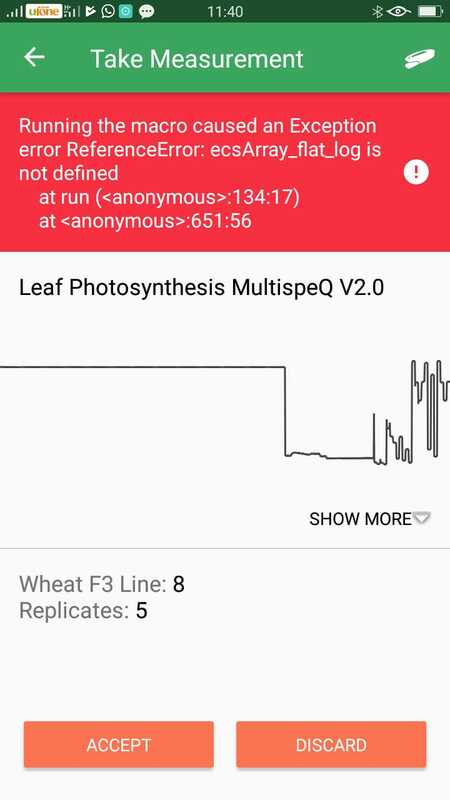 We are seeing the same error message when running the standard Leaf Photosynthesis V2.0 protocol using a MultispeQ V2.0 running the 2.0095 firmware. This error message goes away when we run the RIDES protocol. David M. Kramer: This is what we need: What project? What is your firmware version?